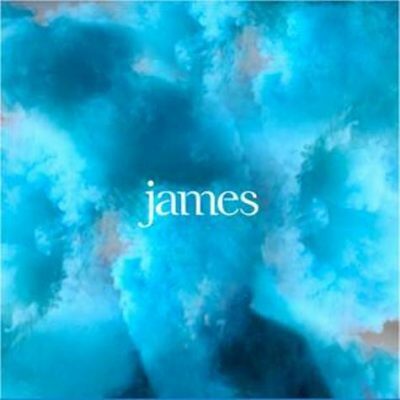 James have announced the release of a four-track 10" EP entitled Better Than That on May 18th to coincide with the tour of the same name of seven small UK venues. The EP comes ahead of the release of their 15th studio album later in the year. Exclusively aired on Steve Lamacq's 6 Music show this afternoon, the lead track lays out the challenge "You can do better than that,” he sings. “Hit me again and show me where I’m cracked" The production has a very modern sheen to it, as these are the first products revealed from their sessions with Wolf Alice and Alt J producer Charlie Andrew. Better Than That includes Tim's trademark falsetto in the verses with a soaring chorus complete with uplifting backing vocals in the tradition of many of their best-loved tracks. The full unedited version of the track is now available to purchase on iTunes. Life comes to rattle your cage"
From todays first offering on our EP. Better Than That and Hank are taken from the as-yet-untitled album that is scheduled to be released in July, according to Tim on Twitter. The Better Than That tour takes in the following venues : Llandudno Venue Cymru (May 16), Warrington Parr Hall (17), Blackburn King George's Hall (19), Halifax Victoria Theatre (20), Middlesbrough Town Hall (22), Oban Corran Halls (23) and Scunthorpe Baths Hall (25).